Have you ever wondered if a blog might be a good step for your business to take? According to Hubspot over half of the companies with a business blog acquired new customers with it. So, maybe a company blog is worth the trouble. Let’s go over some of the advantages a blog could bring to your small business. Google and all the others notice when new content is added to a website. Sites that are updated regularly can get rewarded in the rankings. It’s hard to constantly update your Home and About Us pages with new content, not to mention, kind of pointless and unrealistic. Blogs are the perfect medium for fresh content to be added to. Something else that happens when you blog, you are constantly adding new keywords to your website. Strategic and well-thought-out blogging can really help you start ranking pages. Think of some of the questions your prospective customers might have. 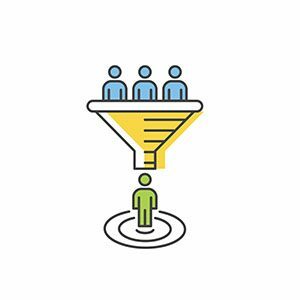 Figure out what your ideal customer might be searching for. After you do this, get some blog posts going about it! Beyond beginning to build more keywords, you can use these helpful blog posts on social media. Slowly but surely, you will build up your SEO. While that builds, you can share your blog posts with your social audience, bringing them directly to your website. A small business with an awesome blog, full of helpful and valuable information looks authoritative. It shows that you thoroughly know your field inside and out. For example, let’s say you want to find a local insect exterminator. You Google exterminators in your area and are presented with a few choices. You decide to compare two that appear to be the best. One of the sites is well put together with standard information and ways to contact them. The other site has all of that, but, it also has a new blog post from a couple days ago. This new blog post is about local insects in the area that are common problems and tips for keeping them away. Which of these two sites looks to know more or at least appears to be more helpful? That same blog post could very well be a search result for someone in the same area who’s trying to get rid of some bugs in their house. They could end up trying the tips and deciding it’s beyond their own ability. The company with the blog post they tried is probably getting the first call for service. As briefly mentioned earlier, blog posts are an excellent asset to share on social media. The first and most obvious advantage you have is a direct link going out for visitors to your blog and website. What could be even better, though, is, if your content is extremely helpful or engaging it could get more even more shares by your audience. 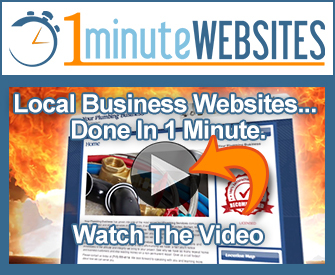 This is an incredibly cost effective way to get traffic going directly to your site. Also, through sharing generally comes conversation. Get in on it! Businesses that show real involvement in social media build even more trust and authority. Over the long-term, your company’s site will build authority and SEO opportunities. Staying consistent with great information will continue to build Domain Authority and Page Authority. Over time this will build your site into an incredibly powerful machine. Remember, it is about quality over quantity. But, if you can pull off both 92% of companies that blog multiple times per day are getting customers from it. For the short-game, you still build authority. If you have a frequently updated blog but your competitors do not; that looks great for you. Your site will look much more healthy and potential customers can be completely sure you’re in business and firing on all cylinders. With all this information in mind, it might be time to start a blog for your business. The cost is relatively low if you decide to outsource. Otherwise, if you’re knowledgeable about your field, just write what you know. 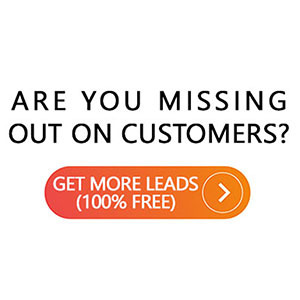 Your site will be optimizing and you’ll be converting more leads.